Discussion in 'UFC Discussion' started by let me bang bro**, Jan 8, 2013. I wasn't paying attention at all, and read this title expecting to see Overeem in a DMV getting his motor vehicles license in America. They let him bang, bro. Were people expecting him NOT to be licensed after UFC has been promoting him in the fight? Of my friends polled, no. He's too much money to turn away from a licensing hearing more than once. I just think he did his time and stayed clean, he earned it. Good but no surprise, its in the NSAC's best interest to have him fight. But ya let's get it on!! UBER v Cain here we go! 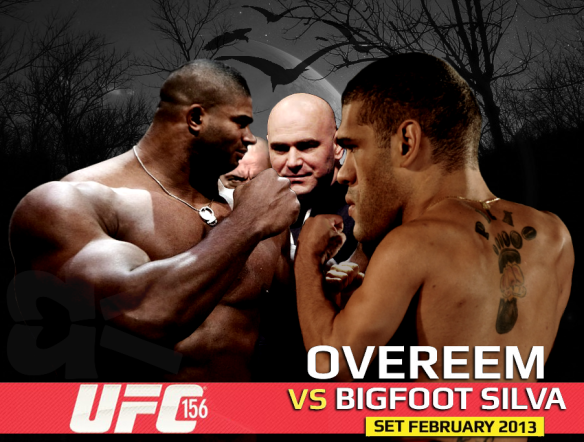 Cain vs Overeem will be sick. thats a relief. War REEM!!!!! Overeem, who gassed 2 minutes into the fight with Werdum, vs the most relentless wrestler in the division with great cardio. Cain will make Overeem gas, bleed, and then tap to strikes like he did against Arona. aaaannd new HW champion of the woooorrllllddd!!!! I'll very be interested to see this fight. My vote is for Cain though. Cain TKO round 3. Best poster of 2013. (this award needs to be created). Did you see Cain vs Kongo?